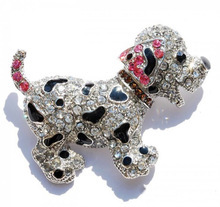 Women often associate brooches with their grandmothers or Park Avenue socialites. 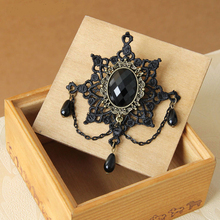 Nowadays though, wearing brooches is making a comeback as a must-have fashion accessory. 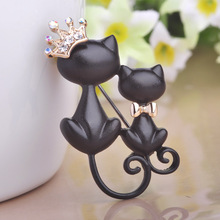 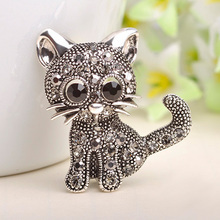 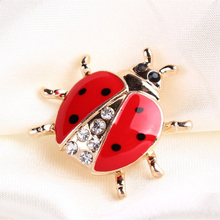 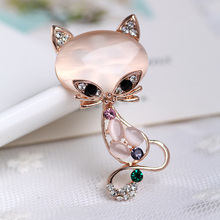 Our wide selection of women's black brooch like gold-plated and silver-plated brooches with adorable cat, ladybug and dog designs and made with zirconia and colorful rhinestones add sparkle to any outfit.